Product Dimensions (L x W x H): 7" x 2" x 9"
People always wonder how this can be done. How can you build a ship inside a bottle? Well, if you ask a hobbyist who builds ships in a bottle, the standard answer is"very carefully." Although this sounds tongue-in-cheek, its actually the truth. Shipbuilding in a bottle is very intricate work. But the results can be spectacular. Our ship in a bottle takes countless of hours and patience to complete. 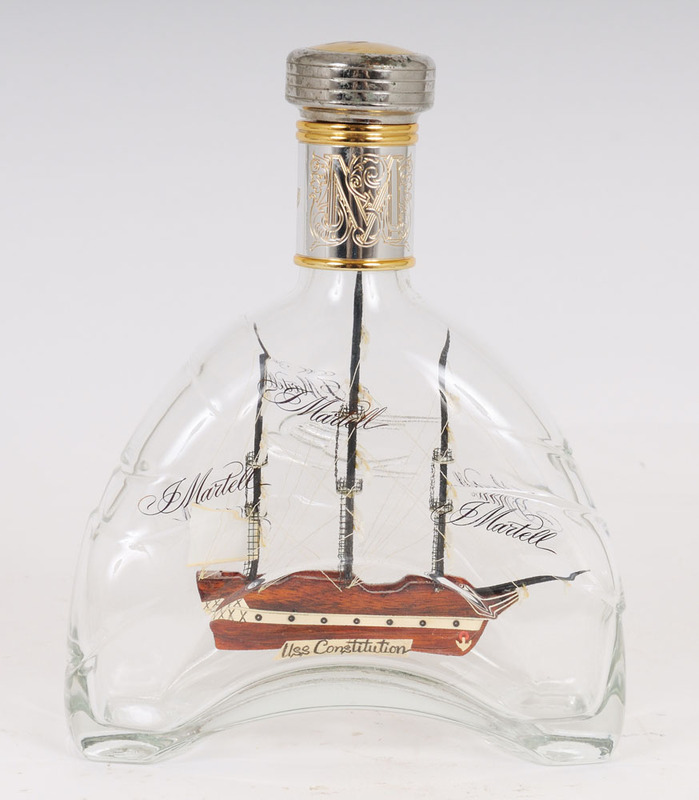 It has an amazing detailed wooden USS Constitution model ship handcrafted inside a real Martel cognac bottle. The model ship inside is just like the real ship model, it comes with: three masts, hand-stitched sails, and intricate rigging. The hull is painted in two tone colors to replicate the ship color. 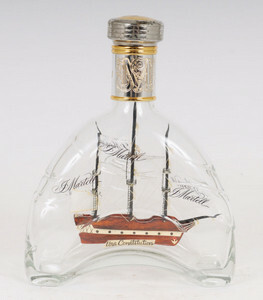 This ship in a bottle will makes a beautiful gift or display item in your home or office!